If you tell yourself "I'll start saving for my retirement when pigs fly! 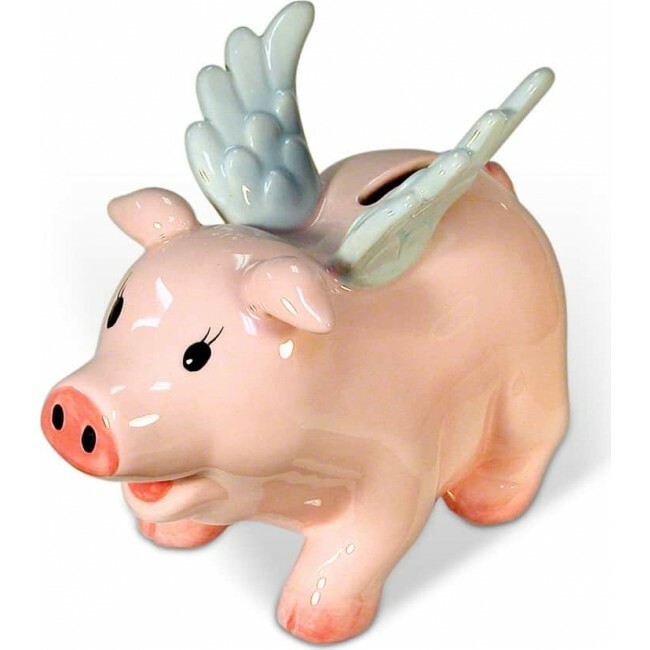 ", then you'll want this ceramic Flying Pig Money Bank. Approximately 5" high.